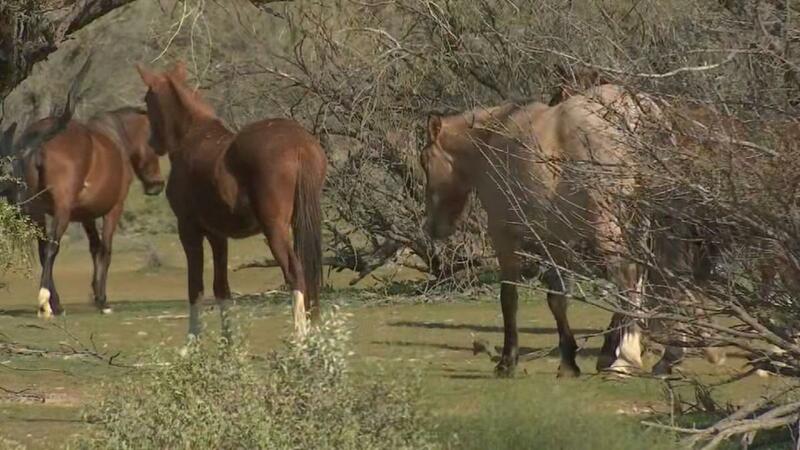 MESA, AZ (3TV/CBS5) — Our Salt River wild horses are now protected. But part of protecting them, also means managing herd numbers. The group that watches over them is doing that by giving them birth control, delivered via dart. 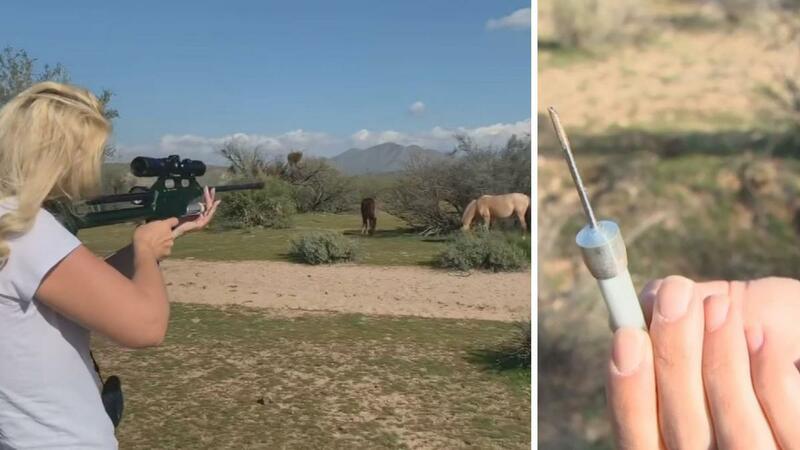 It takes patience and good aim to track and dart female wild horses. Each dart is filled with an equine birth control that keeps the mares from getting pregnant for one year. 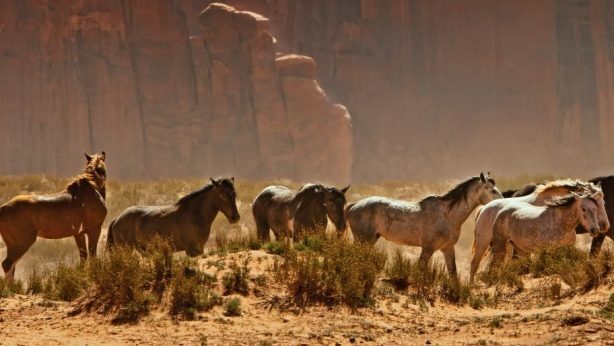 The program, which the Salt River Wild Horse Management group started in October is meant to keep the herd at a manageable level. Too many animals, and the land can’t support them. Last summer, a bad drought and too many horses meant some began to starve. The SRWHMG began an emergency feeding program to get them through the dry season. 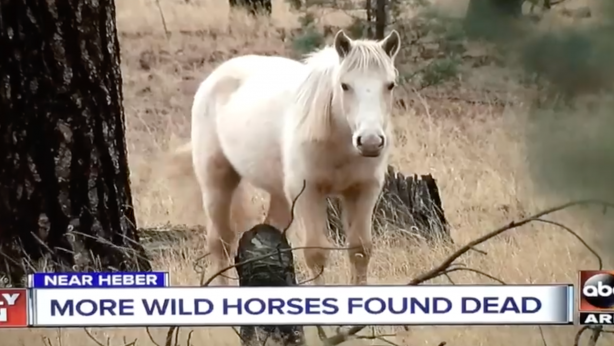 “This program is so important because even though these horses live in the wild, they are fenced in by civilization on all sides and they can’t outgrow their boundaries so therefore the authorities want to see a lower population,” said Simone Netherlands with the SRWHMG. The SRWHMG operates under the Arizona Department of Agriculture, but is funded entirely by donations. So far they’ve darted nearly 70 horses. Next year they’ll do it all over again. “What we want to do is make sure that we stabilize the population, equal the death rate with the birth rate so that the authorities are happy, the public is happy and most importantly, the horses are happy,” said Netherlands. Shootings of wild horses and Wild Horse Management Group.